Playing in the Premieres section of the 2019 Sundance Film Festival. Running time: 110 minutes. Next screenings: Tuesday, Jan. 29, 6:30 p.m., Rose Wagner Center, Salt Lake City; Wednesday, Jan. 30, 6 p.m., Sundance Mountain Resort Screening Room, Provo Canyon; Saturday, Feb. 2, 12:15 p.m., Eccles Theatre, Park City. 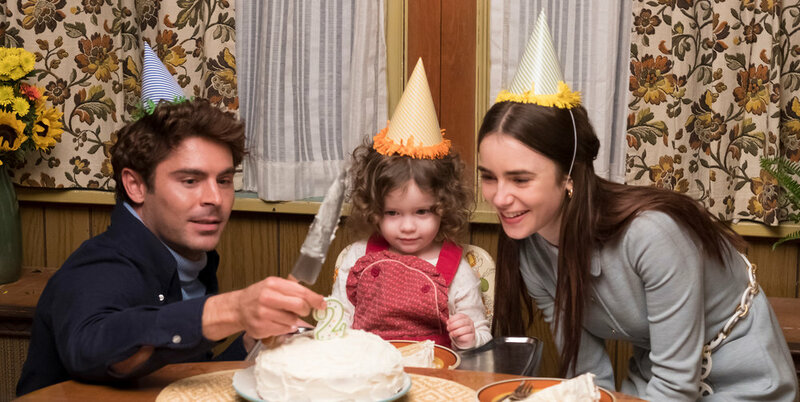 There’s no doubt, based on the title “Extremely Wicked, Shockingly Evil and Vile,” what director Joe Berlinger and screenwriter Michael Werwie think about the movie’s subject, the notorious serial killer Ted Bundy — but the subtle way they get to such an unsubtle conclusion is fascinating. The script is adapted from the memoir written by Elizabeth Kendall, nee Kloepner, who was Bundy’s girlfriend from 1969 through the mid-’70s, when she was unaware of his many killings. When they first meet in a Seattle bar, Ted (played by Zac Efron) is a perfect gentleman, even making breakfast for Liz’s toddler daughter, Molly, the morning after their first date. Liz’s suspicions begin to form when two young women go missing in Washington state, and the composite sketch witnesses describe looks a lot like Ted. By then, though, Ted is in Utah, pulled over by a Utah Highway Patrolman (James Hetfield, from Metallica), and soon facing kidnapping charges. Ted professes his innocence, and for the longest time Liz believes him. Berlinger, best known as a documentary filmmaker, only slightly condenses the details of Bundy’s legal history. After being convicted in Utah, Bundy is extradited to Colorado in connection with killings there. In Colorado, he escapes from custody once in pretrial, and again after another conviction. Two weeks after leaving Colorado, he pops up in Florida, having committed his most brazen crime: The beating death of two sorority sisters and the near-deaths of three other women. Berlinger depicts Bundy’s Florida trial as dark farce, with a grandstanding prosecutor (Jim Parsons), an exasperated public defender (Brian Geraghty), a good-ol’-boy judge (John Malkovich) who indulges Bundy when he defends himself, groupies in the gallery, and the introduction of courtroom cameras. Meanwhile, Liz has abandoned Bundy, but another woman, Carol Moore (Kaya Scodelario), is eager to take her place. Berlinger doesn’t bombard the audience with gory images of Bundy’s crimes, at least not in the beginning. Instead, he aims to show how someone as smart and as charming as Bundy could keep Liz in the dark for so long. For this goal, Berlinger’s not-so-secret weapon is Efron. The former “High School Musical” heartthrob deploys his good looks to devastating effect here, but also conveys the menace and madness beneath the smooth exterior. With Efron providing the shark’s smile, “Extremely Wicked, Shockingly Evil and Vile” becomes a cutting commentary on the slippery nature of evil.